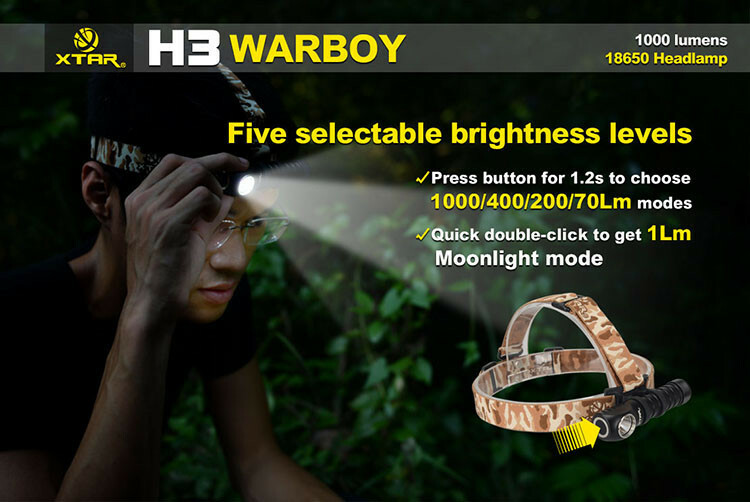 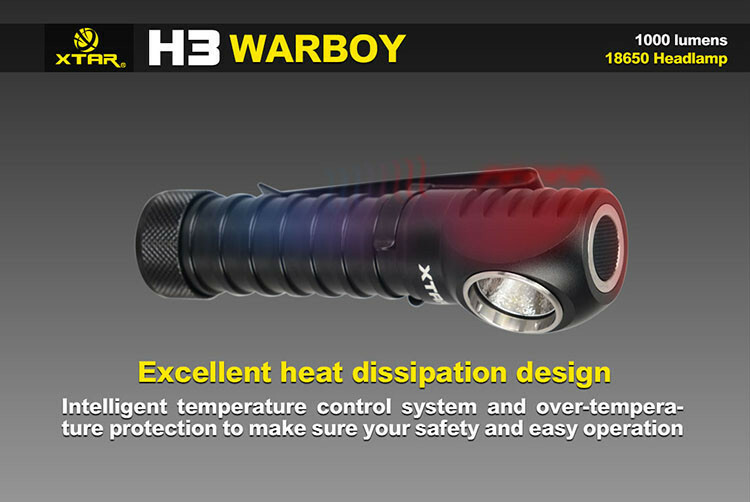 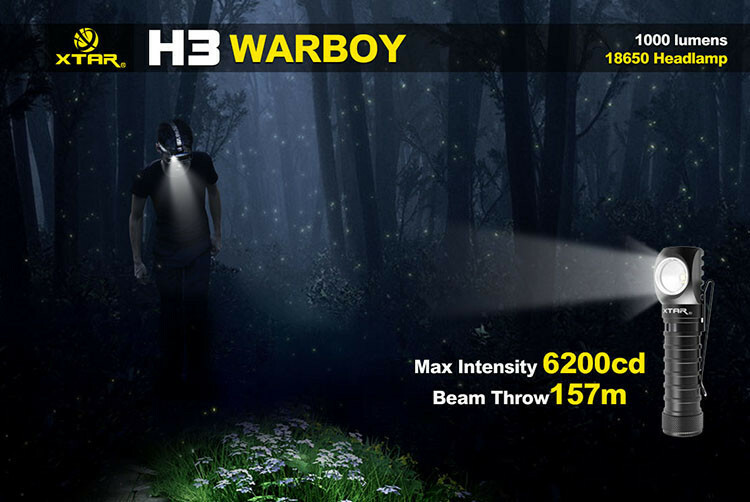 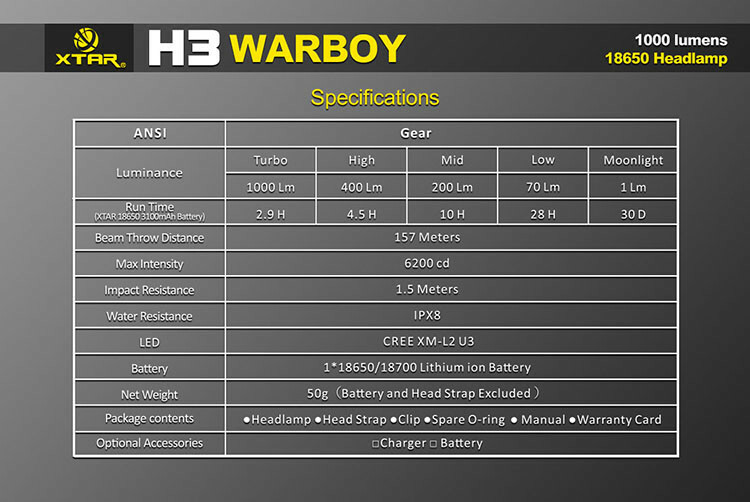 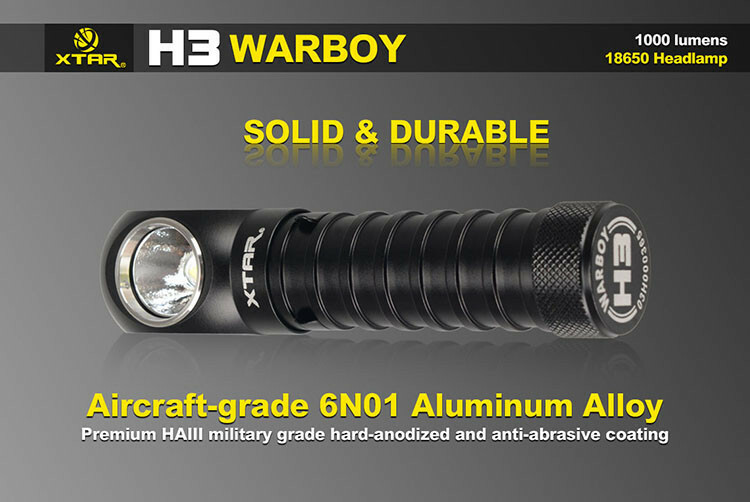 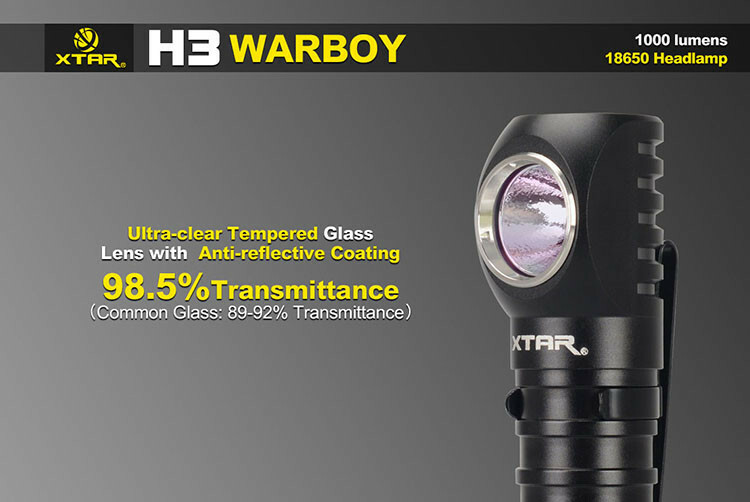 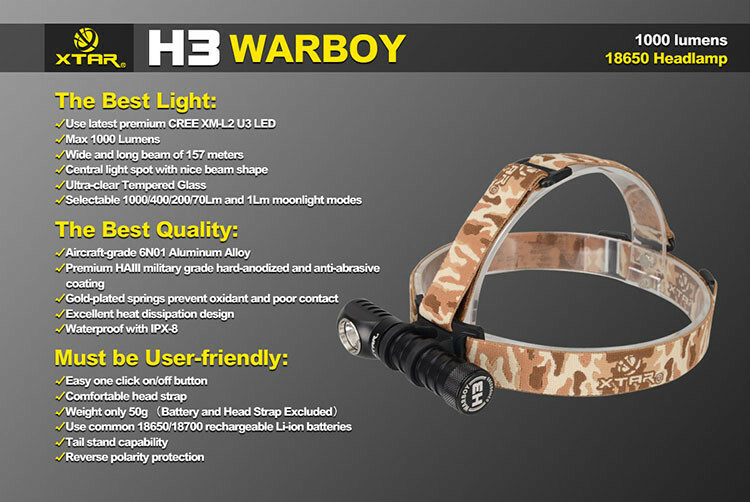 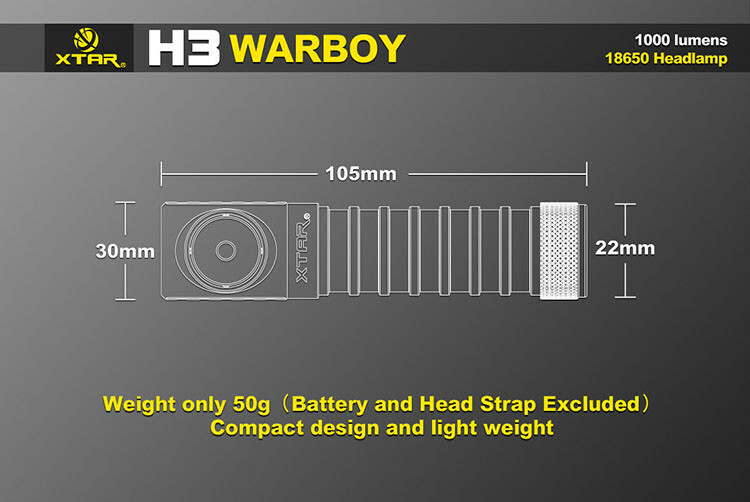 XTAR H3 WARBOY Headlamp utilizes the latest CREE XM-L2 U3 LED capable of a maximum 1000 lumens output. 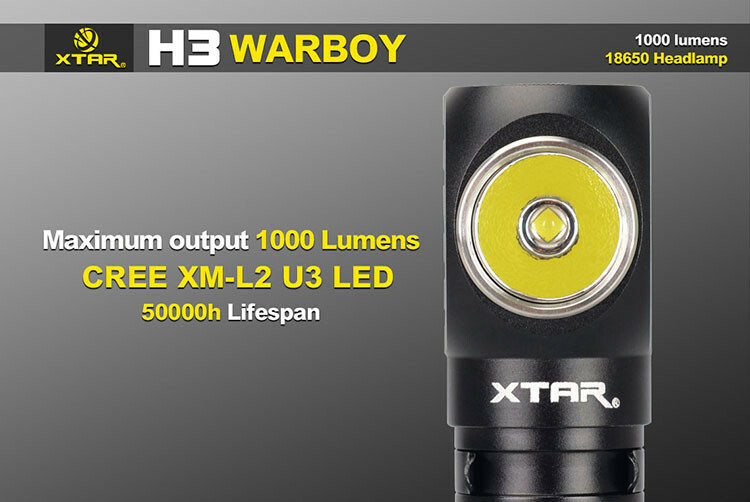 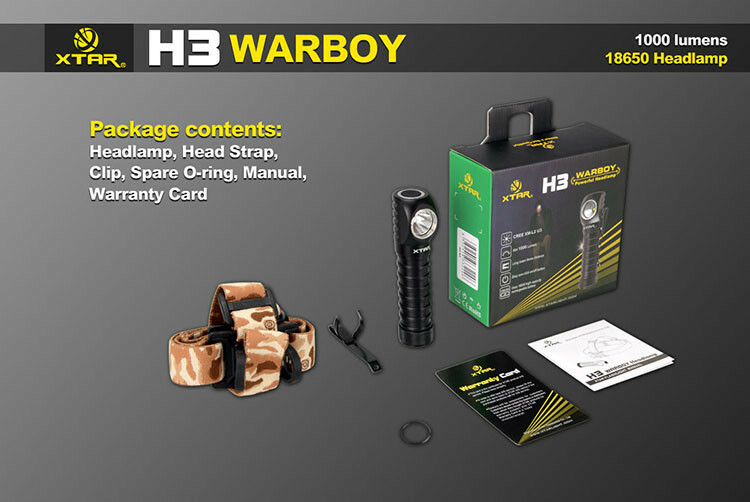 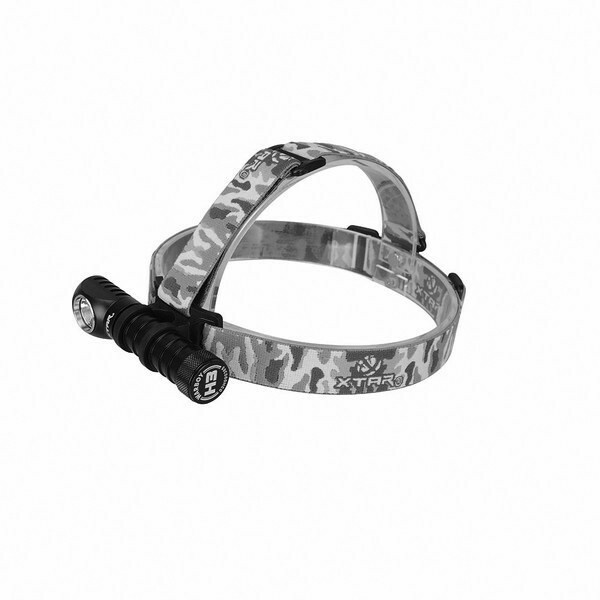 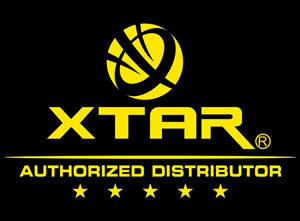 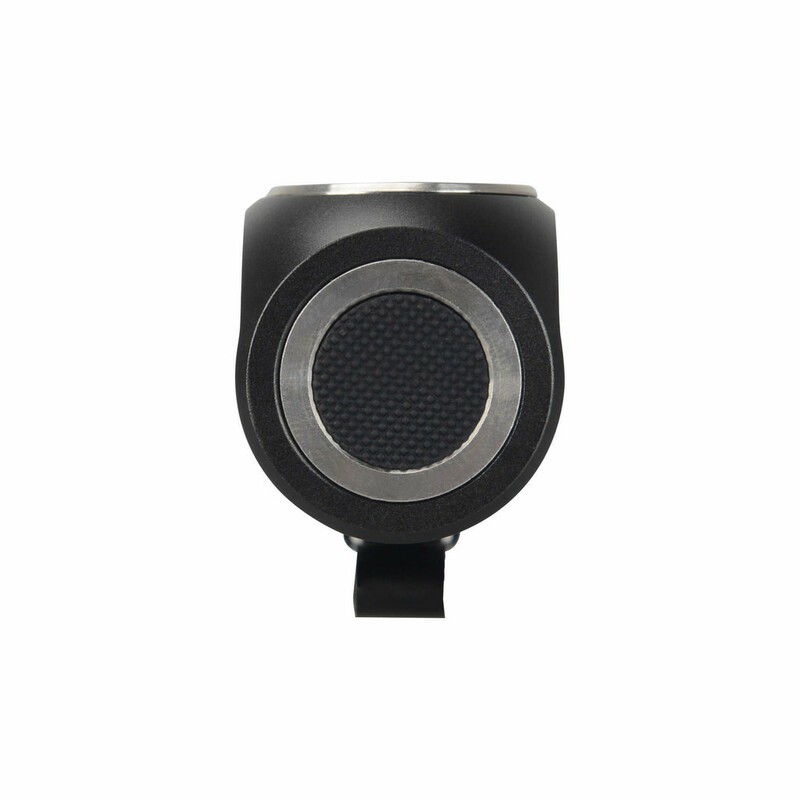 The Xtar H3 WarBoy Headlamp utilizes the latest CREE XM-L2 U3 LED capable of a maximum 1000 lumens output. 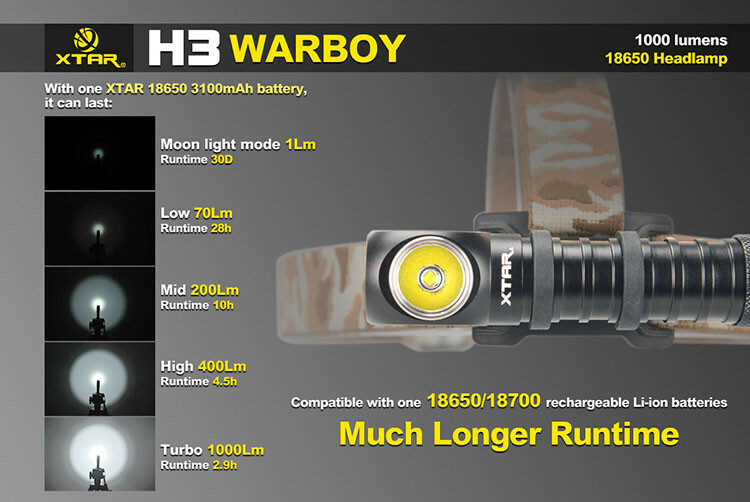 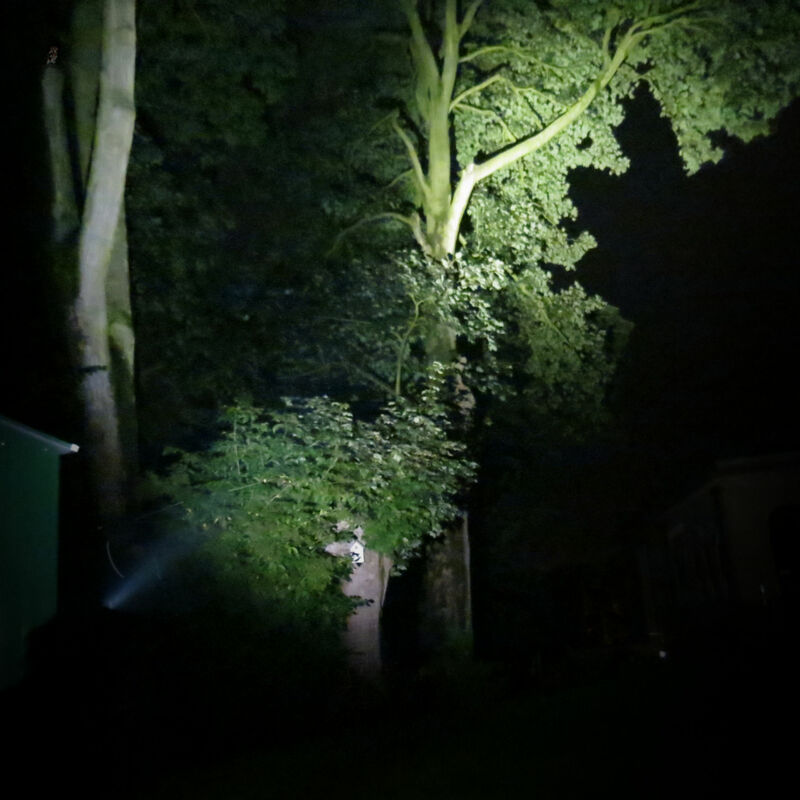 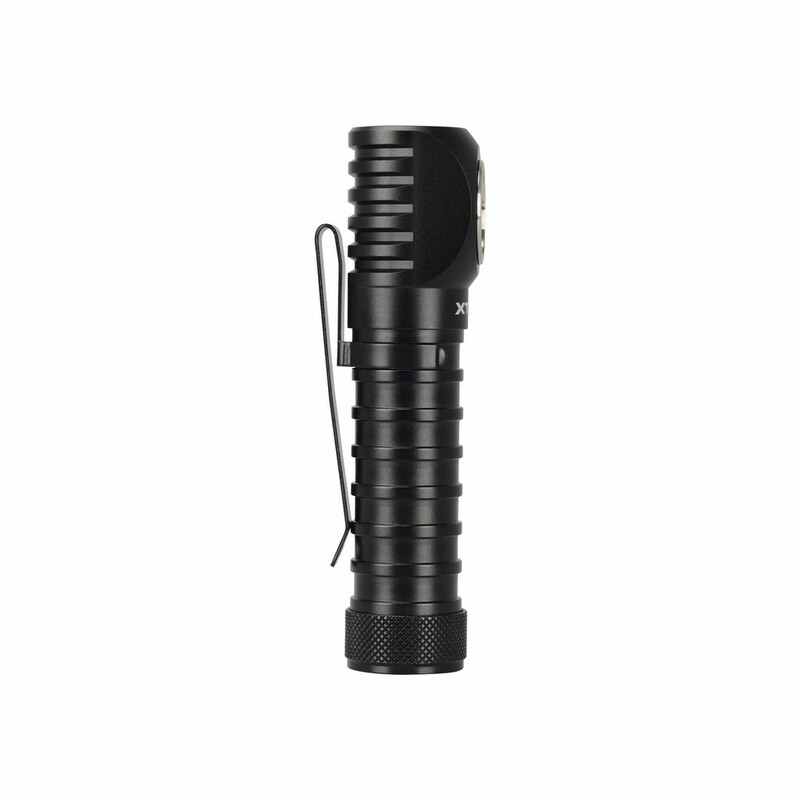 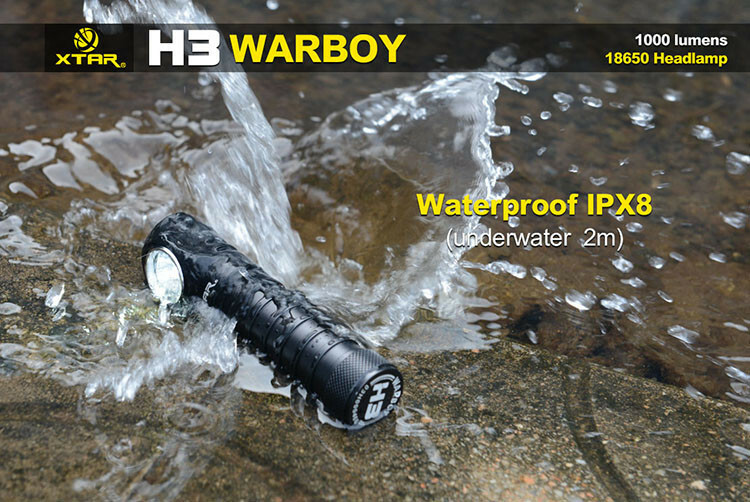 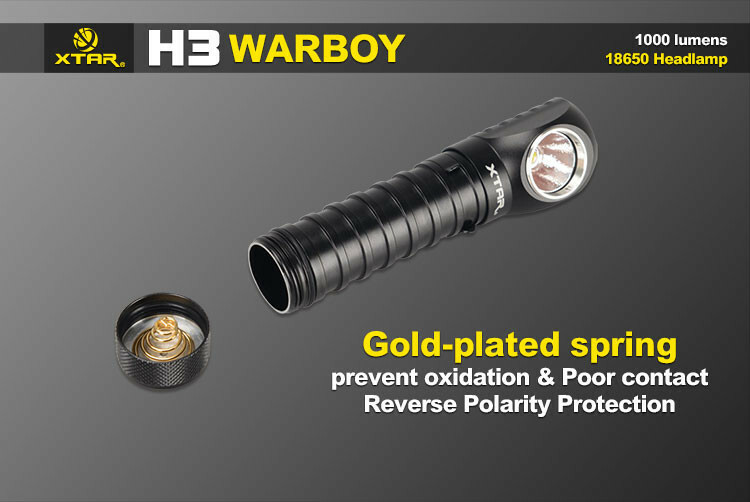 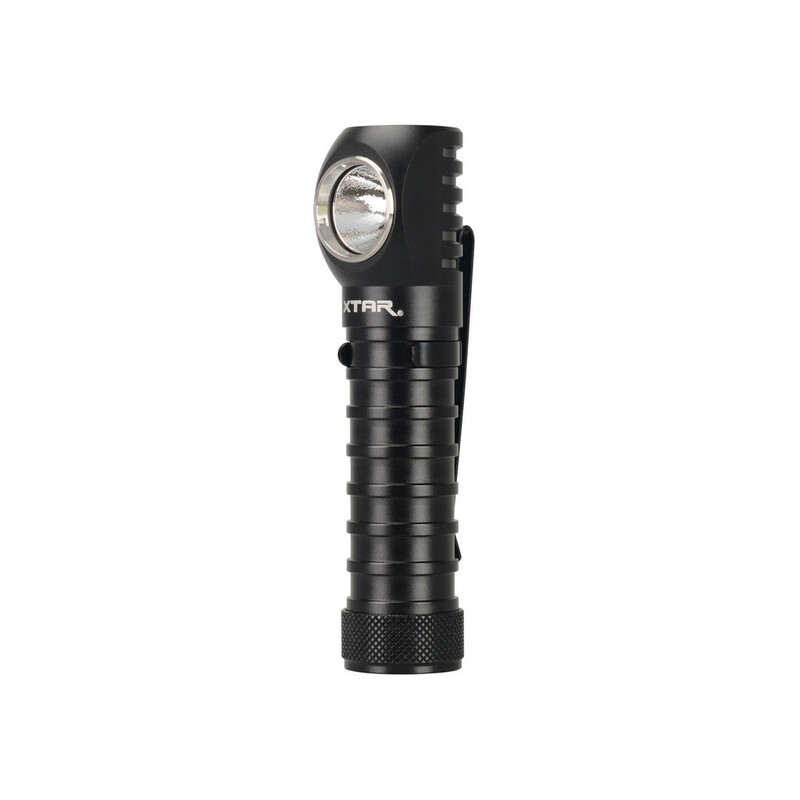 Weighing in at just 50 grams, the H3 can last 4.5 hours on 400 lumens and days on end at 70 lumens or work in moonlight mode at 1 lumen for 30 days assuming a 3100mAh 18650 battery.